There are some people in the wilderness who don’t have any water yet! Unless someone comes and ministers to them they are going to die in the wilderness, without water. Someone must preach the Gospel to them until their dry areas are made wet! Proverbs 15 v23 “Everyone enjoys the right answer, because it brings joy to the person, and how good is a timely word“ . There is water in your relationships, there is water in your family, there is water in your home and in your business. There is water right here in these words. Water, water everywhere .You only needs to dig some ditches. Proverbs 25 v25 “Like cold water to a weary person, is good news from a distant land “. You don’t have to give up, you don’t have to give in, you don’t have to quit, because God said, He would fill those dry areas of your life with water. If you have been going through dry places and wilderness areas for a long time. Well its time to dig some ditches! God is saying to you, “ Get ready and dig some ditches, because I am fixing to Bless you and your Latter Day is going to be Greater than your Former! There might not be any clouds, any wind or any rain, but God is going to fill those ditches with Water! 2 Kings 3v17 “For thus says the Lord “You shall not see wind, neither will you see rain, yet the Valley shall be filled with Water”. God will fill those ditches in your homes, in your marriages and in your Business with Water. To the ditches of your emotions, He says “Get your mind ready, get your attitude right, and get your heart fixed. He is about to open the windows of Heaven and fill those ditches with Water! God Says “I am going to pour out a Blessing there will not be room enough to receive”. When you think you just can’t take it anymore. It is then that God will send you His blessing. Don’t allow satan, to discourage or dishearten you, thereby stopping the blessing of God from flowing down. So I dare you to dig those ditches now! As soon as you are ready and those ditches are dug, God will fill them with water by His Spirit. There will be no warning signs, No Rain, No Clouds and No Wind, just water, water everywhere. I dare you to get ready dig those ditches and regardless of the circumstances, Expect God to fill those ditches with the life giving water you so desperately need. Empowering you to win in Life through Jesus Christ. “I am not moved by what I see. I am not moved by what I feel. I am only moved by what I believe.” Smith Wigglesworth. If God’s Word says you are forgiven, then you are forgiven, if God’s Word says your needs are met, then your needs are met. If God’s Word says you are healed, you are healed. If you don’t let go of God’s Word, but keep it in your heart and mouth, then you can’t lose. There is no force the devil can bring against you that can overthrow the Word of God. God’s Word will make you a victor every time. So if you have been wanting good success and it has been eluding you, quit wondering if you have what it takes to succeed and remember instead, who lives in you. Then turn to the Word and put God’s success formula to work in your life. Start talking it, start thinking it, start doing it! 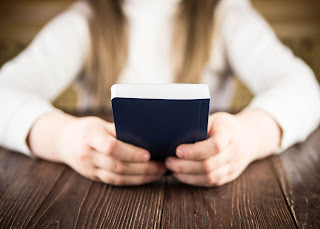 You can believe all day long that the Bible is true- and that’s to your credit- but what the Bible says will never affect your life in a personal way until you start acting on God’s Word. The word honour means: to respect, to revere, to treat with deference and submission and perform relevant duties to. Honouring your man of God is vital in the life of every born-again believer. Even as a Senior Pastor, it is a privilege for me to honour the men of God that I consider my spiritual fathers and mentors. They are life coaches to me on my spiritual journey to success, shining examples of excellence in ministry, men to whom I look for advice, prayer, guidance and leadership. The importance of a man such as this cannot be overstated. What you hear repeatedly, you will eventually believe. Repetition, our school teachers know this basic law of learning. That’s why when we were at school, we learned many things in our early years by repetition. Someone once said, “You must hear something at least 16 times, before you eventually believe it”. Television commercials are repeated over and over. These are backed up by newspaper, magazine, internet and billboard advertisements. The marketers know we must continually hear and see something before we respond to it. Romans 10:17 says “So then faith cometh by hearing, and hearing by the word of God”. It simply takes time to absorb a message. Great achievers understand the necessity for their team and those following them, to hear instructions, teaching and training, again and again, before they fully grasp new concepts.